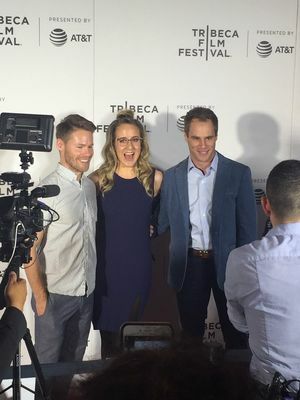 As you already know, "New York is Dead", the webseries starring Jenn Harris and Matthew Wilkas and directed by Randy Harrison, premiered last night at the Tribeca Film Festival! 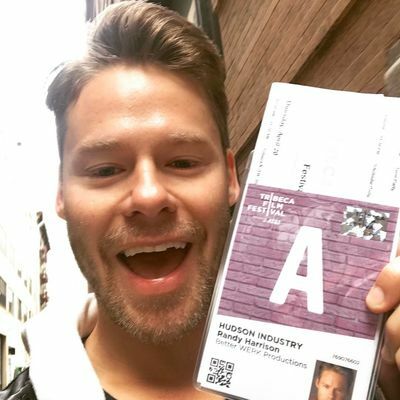 Getting ready for the Tribeca Film Festival, where he's going for the premiere of "New York is Dead", the webseries he directed, #RandyHarrison posted on his Instagram a selfie taken while holding his pass to the Festival. 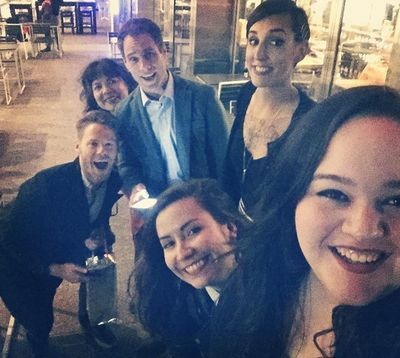 Thanks for sharing and again: break a leg! 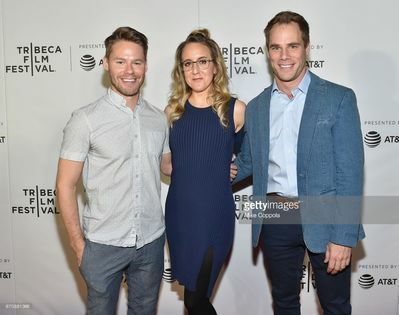 In only two days "New York is Dead", the webseries starring Jenn Harris and Matthew Wilkas and directed by Randy Harrison, will premiere at the Tribeca Film Festival with two sold out screenings, April 20th and 21st! 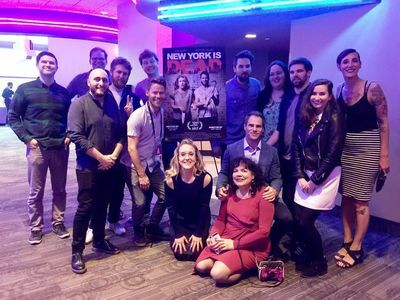 Thanks for sharing guys and break a leg! 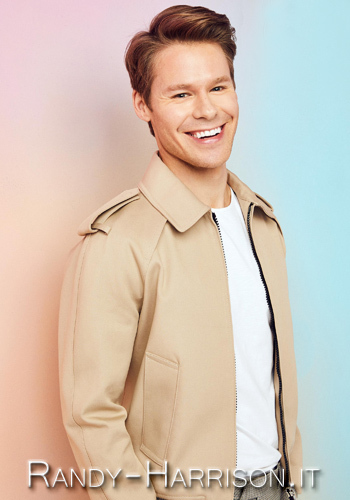 We have one more photo of #RandyHarrison thanks to Andrew Grow, who went to see the Skivvies in Sunday Undie Bottomless Brunch and shared his photo with us! 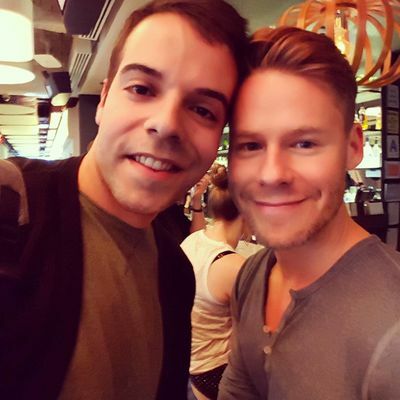 Thank you so much Andrés! 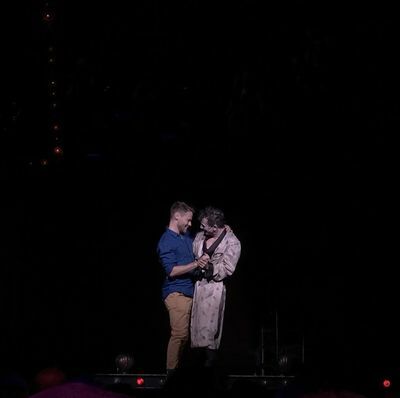 We added to our gallery one more picture of #RandyHarrison with Jon Peterson on CabaretTour's stage in Philadelphia. 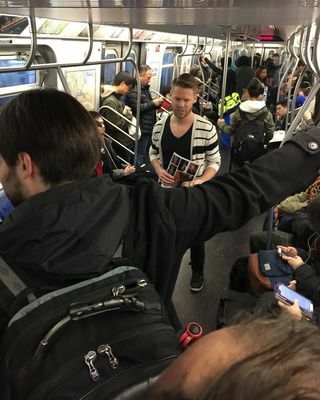 Thanks to Mike Plumton who let us share this picture! 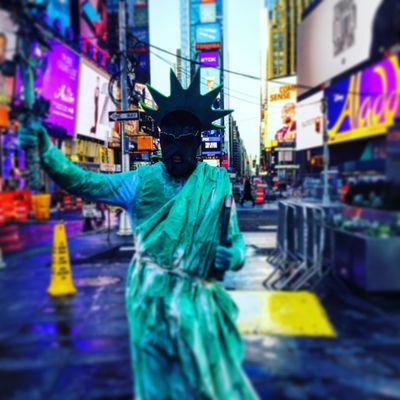 The images are from the last video posted by Lauren Molina, you can watch it again HERE. 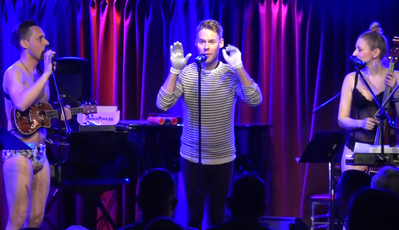 Last night #RandyHarrison was at the Academy of Music for the opening of #CabaretTour in Philadelphia. 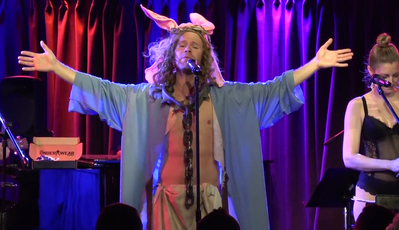 He joined on stage Jon Peterson, Cabaret's new Emcee, who posted two pictures on his Facebook. 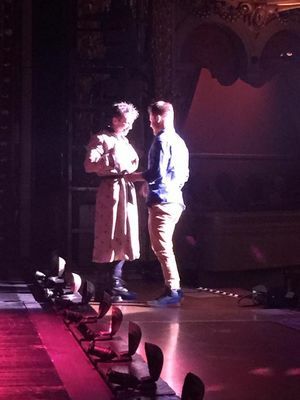 Thank you so much for sharing Jon and break a leg! 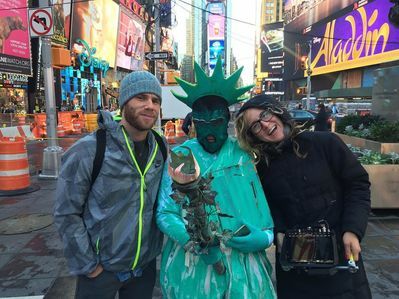 The images are from the video posted by Lauren Molina today, you can watch it again HERE.